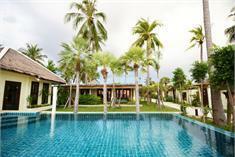 The Sea House Beach Resort Krabi, Hotel Thailand. Limited Time Offer! The Sea House Beach Resort. "The Sea House Beach Resort" is a hotel that has acquired 4 stars. 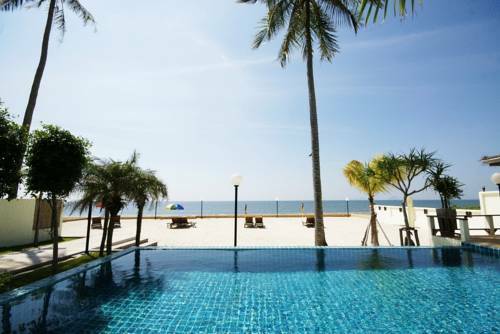 It is a perfect base from which you can explore Had Yao Beach. The accommodation is near the airport. This hotel offers a peaceful environment where visitors can recover from their daily stress. A total of 9 rooms is featured. Hot temperatures are kept outside thanks to the relieving air conditioning. Guests can have fun in and around the outdoor swimming pool. You have the option to recharge your batteries with a relaxing massage treatment. Dinner can be enjoyed at the onsite restaurant which proudly serves its Thai and European specialties. Internet access is available at no extra charge and there is a shuttle service which can take you to and from the airport. The Sea House Beach Resort offers a private retreat featuring villa accommodation with free wireless internet access and a swimming pool by the beach.